Jenna focuses her practice on government law and construction litigation. Jenna Ferraro has been interested in law and helping people solve problems for as long as she can remember. 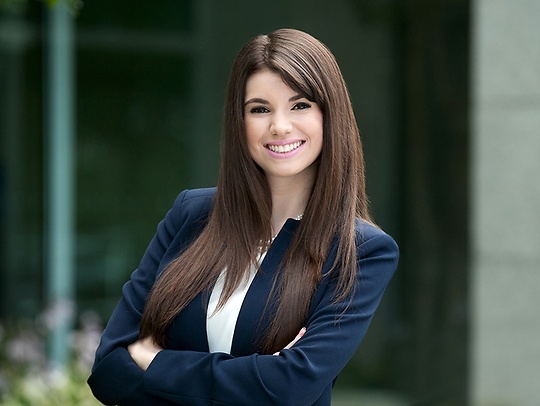 After seeing her mother enjoy a long career in the legal industry, Jenna was inspired not only to become the first college graduate in her immediate family, but the first attorney as well. South Jersey born and raised, Jenna joined Parker McCay to give back to her community and has a deep appreciation for being in court, where she defends clients through the litigation process. Jenna served as a Summer Associate with Parker McCay prior to joining full-time. She interned for the Honorable Matthew D. Carrafiello in the Philadelphia Court of Common Pleas Orphans’ Court Division and provided pro bono services for the Marshall-Brennan Constitutional Literacy Project. Jenna lives in Florence, and enjoys going to concerts and the beach in her free time.